The first mask Link receives is the Deku Mask. Unlike the Goron and Zora Masks he will receive later, the Deku Mask is fairly anonymous at first, in that we do not know its origin nor does it have a character associated with it. This is fitting for the introduction to the story, as when Link arrives in Termina he, too, is an unknown its other inhabitants, his origins and back story as mysterious to them as the mask is to himself. We do receive a clue about the Deku Mask in the introduction when we find a small, unusual tree and Tatl says of it, “It’s strange, but the way you look right now sort of looks like this tree.” If it’s true that the tree and the mask are related, it’s also fitting that it was found in a forest, as it ties back to the Hero of Time’s own beginnings in Kokiri Forest. At the end of the game, we discover that this tree is the remains of the Deku Butler’s son, who earlier told Link that his Deku Form looks just like his son. The fact that he is found so far from home parallels Link’s own journey taking him farther away from Hyrule, and of course, their paths ultimately intersect by both reaching a “terrible fate” in the same woods. Then there is the appearance of the Deku Link. This form of Link looks like a child, so much so that the Clock Town guards won’t let him leave town (similar to the child-like Kokiri being restricted to the forest because of the danger.) However, this is only a little different than what the people of Termina might think of Link at first, even in his true form. He will later begin to prove himself – the guard rethinks his opinion when Link is able to wield a sword, and many of the other characters will begin to change their thinking as Link helps them. Cremia even says of Link, “By doing one good deed, a child becomes an adult.” Still, based on appearance, Link looks unassuming. But the irony of Deku Link’s appearance is apparent in his Goron form. 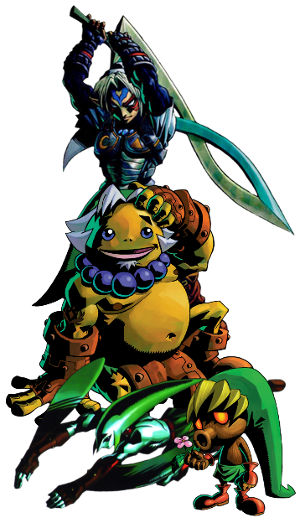 We do know the back story of the Goron Mask – it contains Darmani’s spirit, who, in his own words, was “a renowned warrior and veteran” of his people. The Goron Elder says that Darmani “boasts courageous determination” and that he is “the chosen one”. Both quotes can easily be applied to Link, the Hero of Time, as well. Link also already has a strong connection to the Gorons – his heroic actions earned him the title of brother in Ocarina of Time. Darmani died attempting to save his people from the threatening cold, and theorists may be interested in Darmani’s regrets at this failure, which is the reason his spirit still lingers. Twilight Princess has a character called the Hero’s Shade, who says, “Although I accepted life as the hero, I could not convey the lessons of that life to those that came after. At last, I have eased my regrets. “ Those who believe that the Hero’s Shade is actually the spirit of the Hero of Time may find the parallel between the two warriors – that their spirits linger after death for the same reason – to be foreshadowing. There’s a saying that it’s not what’s on the outside that counts, but what’s on the inside, and at the core, Mikau and Link are very similar. Recall how we first met Mikau: he’s been mortally injured, not in pursuit of his own goals, but by selflessly risking (and ultimately sacrificing) his life to help his friend Lulu. And whether it be saving Gorons from a fiery dragon, rescuing carpenters from a thieves’ fortress, helping a young girl defend her ranch from unusual extraterrestrial spirits, or defending that girl’s sister as she makes a milk delivery, this willingness to put his own life in danger to help others is one of the defining characteristics of Link. In Majora’s Mask, in fact, it’s his primary goal – the people of Termina are strangers to him. Yet it is not in his nature to stand by without helping. Finally, there is the Fierce Deity Mask. While its origins are unknown, there are quotes that hint at its nature. 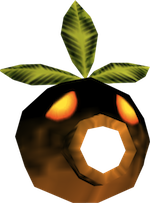 The description of the mask says, “Could this mask’s dark powers be as bad as Majora?” The word dark is often used in a negative way – such as dark magic – but this is not always the case. Anything associated with power will often have a dark history behind it, but this just means that power has great potential for abuse, not that it is bad in itself. Another foreboding quote is Majora’s statement when he gives Link the mask, “Let’s play good guys against bad guys…You’re the bad guy.” However, Majora himself is evil, which means the normal roles of good and bad could be reversed for him. A cop would seem bad to a robber, but that doesn’t mean the cop’s innate nature isn’t good; it depends on the perspective of the observer. Finally, Tatl says that the Skull Kid could not handle the power of Majora’s Mask because he had a “weak will” and “no strength of heart.” With Fierce Deity being a direct parallel to Majora, the implication is that unless Link has great strength of heart, the Fierce Deity Mask could also overcome him. So what is its actual purpose? If Majora’s Mask – the item – represents chaotic evil, then the Fierce Deity Mask balances the scales of justice. In the game, there is no mention of the Master Sword, which in other games is a symbol of Link being the chosen hero. The Fierce Deity Mask seems to take its place to prove Link being a worthy adversary of Majora. In my opinion, the Fierce Deity Mask is an amplifier of the deepest part of a person’s heart. When Link wears the Fierce Deity Mask, because of his strength of character, the warrior he transforms into is a physical manifestation of the power he has always held inside of him. If Deku Link represents the child in Link, Goron Link , the warrior, and Zora Link, the celebrity with a heart of gold, then Fierce Deity Link shows the courage and conviction of his soul from the inside out. 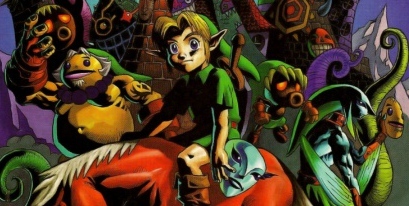 All of these masks work together to paint a full picture of Link’s personality. Still, Zelda fans know that no matter which mask Link wears, at the heart he will always be the same Link we know and love.